 The term ‘SQ Carers’ or ‘us’ or ‘we’ refers to the owner of the website whose registered office is SQ Carers, Office 7, Elta House, Birmingham Road, Stratford Upon Avon, CV37 0AQ. Our company registration number is 09617491, in England & Wales. The term ‘you’ refers to the user or viewer of our website. All content, unless otherwise stated, is copyright © 2016 – 2018 SQ Carers Ltd (company number 09617491) SQ Carers, Office 7, Elta House, Birmingham Road, Stratford Upon Avon, CV37 0AQ, UK. All rights reserved. SQ Carers Ltd. (“SQ Carers”) respects and complies with the EU General Data Protection Regulations (GDPR). Your data is stored through SQ Carers’s data storage and databases. We store your data on a secure server behind a firewall.